Originally we had planned a day at the beach for today but with a mixed forecast we spent a warm and sunny Saturday afternoon at the beach freeing us up for today. 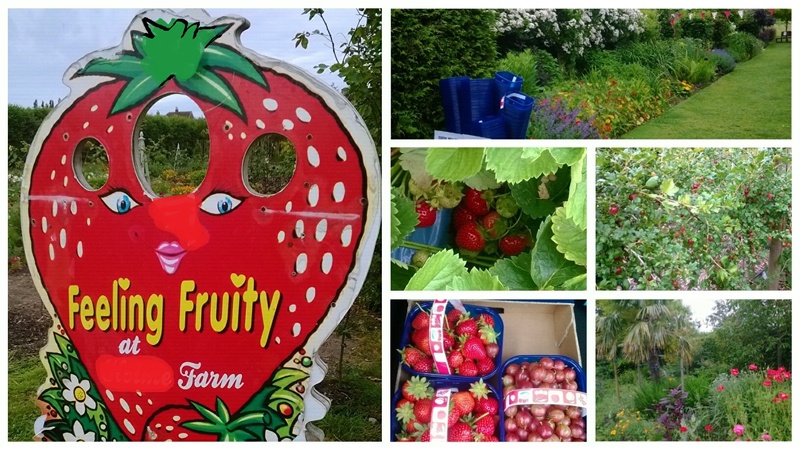 We had a few plans but decided on the Pick Your Own farm where the strawberries and gooseberries were in season and ready to pick. It was a lovely activity and the children loved picking the fruit and nibbling a few samples as they progressed along the rows! Little Man was delighted to find the biggest strawberry! Thanks to our trip we were treated to sweet and juicy strawberries and cream at lunch and Little Miss and I worked together to make a delicious gooseberry crumble as pudding with our Sunday Roast this evening. Delicious! Previous When is a toy not a toy?